The last day of Startup Weekend gave teams the opportunity to make their final push in developing a minimum viable product. After a busy workday, participants returned to the University of Phoenix to hear from Dr. Evans Baiya, president of Evastrategics Inc., an intellectual competitiveness consulting firm. 1. The power of one: Everyone matters. Everyone needs to be included in driving innovative solutions. In an early-stage startup, it’s critical to make every team member part of the solution. 2. The power of a team: Together we can do anything. Regardless of the size of your business, innovation is a team sport. Don’t seek to compete with your teammates; seek to collaborate with them. 3. Solution orientation: Empowerment versus fear. Focus on creating solutions and not on avoiding failure. For example, Amazon founder Jeff Bezos told employees and shareholders that he’s less concerned about profitability and more interested in planting seeds that pay off in the long run. This attitude drives his employees to take the risk of failure to create innovative solutions. 4. Trust, honesty, and transparency. People do their best work when they believe they’re working with people they trust. If you don’t have trust, it becomes the #1 killer of an innovative culture. 5. Clarity in communication. Innovation is a tapestry with a multitude of colors woven together. If you want your employees to understand the “big picture” of innovation and what it should look like, you need to set clear expectations and communicate your ideas often. 6. Customer driven. Customers validate that your ideas have value and, at the end of the day, customers are key. This is not a cliché, but a simple truth. 7. Networking and connectivity. Sharing information increases your ability to fill in knowledge gaps that prevent the successful development of an idea. Avoid corporate insulation and seek ways to connect with others. 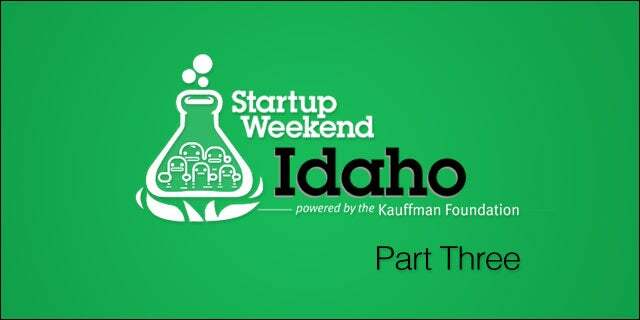 The winner of Idaho’s fourth Startup Weekend was Bolst, a mobile application that provides weekly deals to increase loyalty at local businesses. The judges were impressed that Bolst not only developed the app in a single weekend, but also received validation of their idea by signing up 8 businesses and more than 50 users for their beta test – definitely following rule #6. Guest author Malcolm Hong is a writer and tech advocate with a passion for innovation. He’s connected to entrepreneurism and technology through his work managing the activities of the Idaho Technology Council, the state’s largest member-driven association that fosters the growth of Idaho’s tech ecosystem. Originally from Hawaii, Malcolm quickly realized that Idaho does a great job of growing startups, not just potatoes. Follow Malcolm on Twitter: @IDTechCouncil.